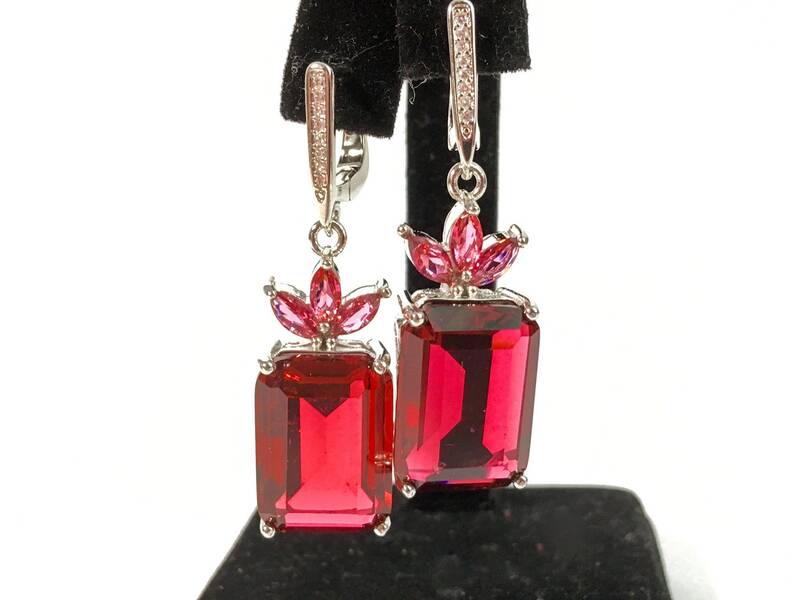 Colorful and eye catching dangle earrings that feature a large red rectangular paste or glass stone, three marquis shaped pink glass stones above that, and a line of 8 glittery clear glass stones all prong set in sterling silver. 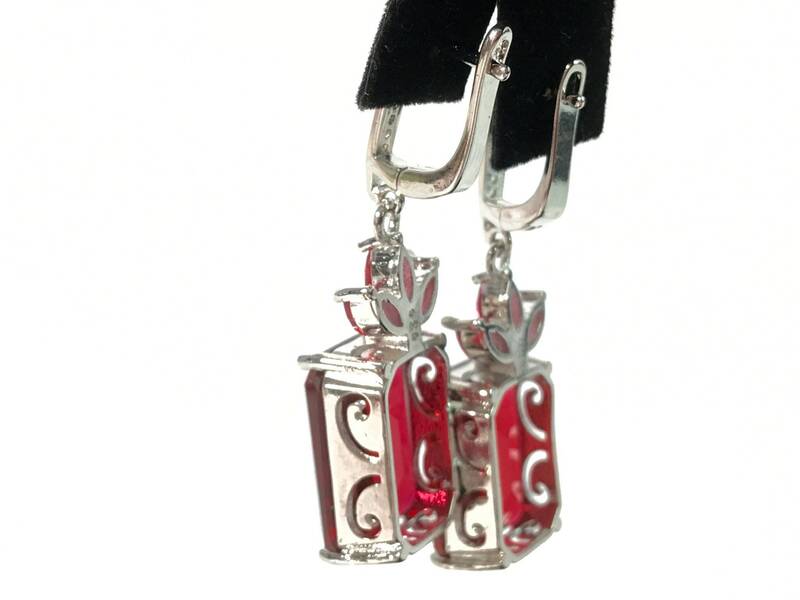 These hallmarked earrings also have some great cutout detail on the sides making them very unusual. 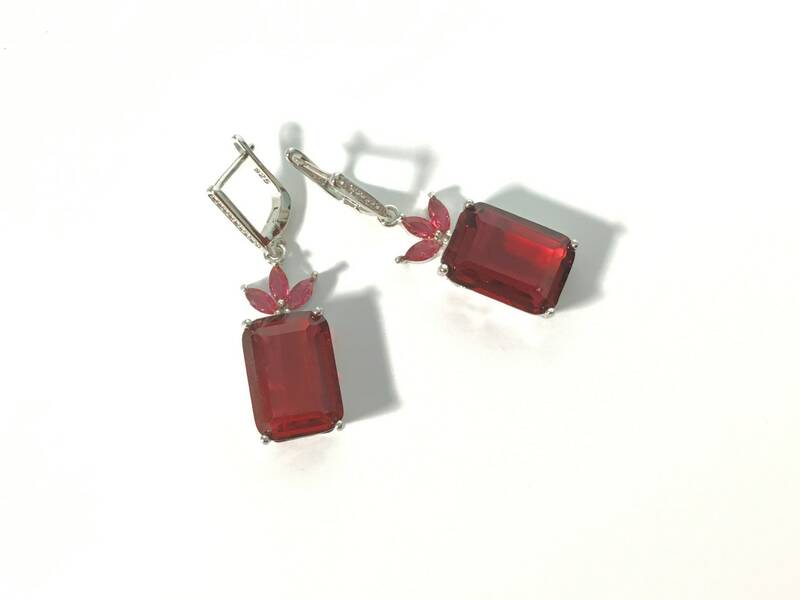 The large red faux stones dangle below three marquis pink faux stones that are set in a leaf design. 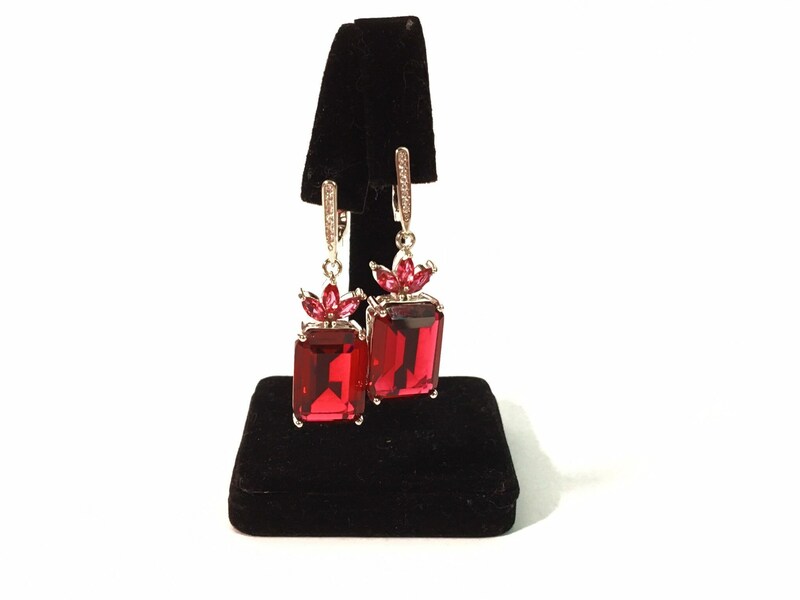 A vertical line of 8 clear paste stones is set inside the front top section of each earring providing additional bling. 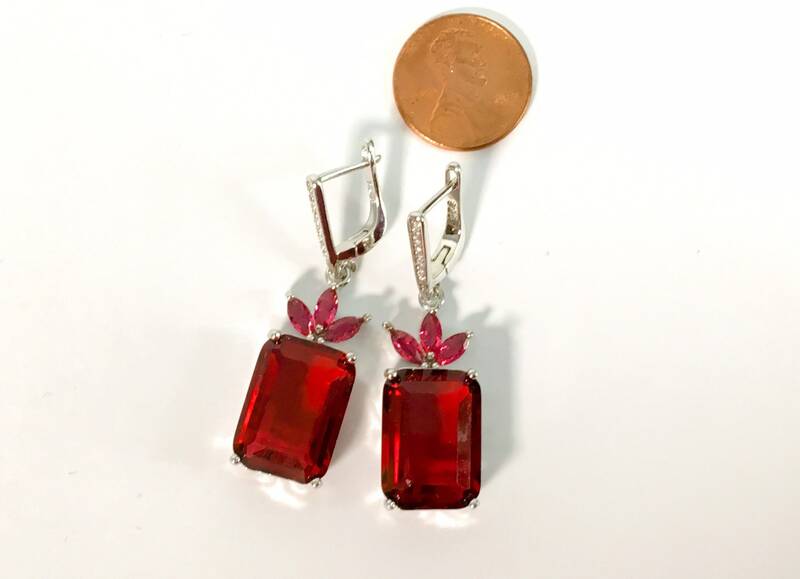 The bottom sections and the sides of the large red faux stone is wide and as such, they have decorative swirls cut out that lets more of the red glass stone show its color. 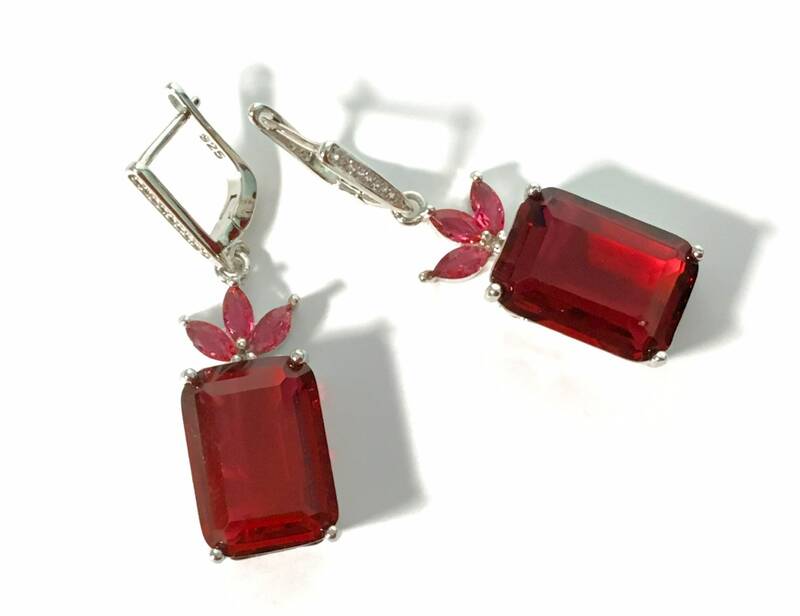 The earrings have a latch back which open and close securely. Measure 1 3/4" long. 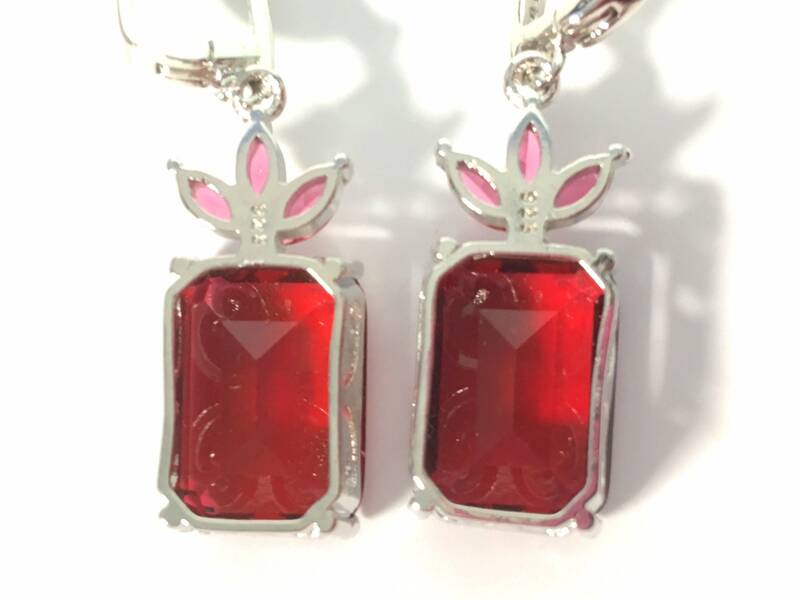 The red glass faux gems are 1/2" wide. The pair weigh 12.8 grams together. 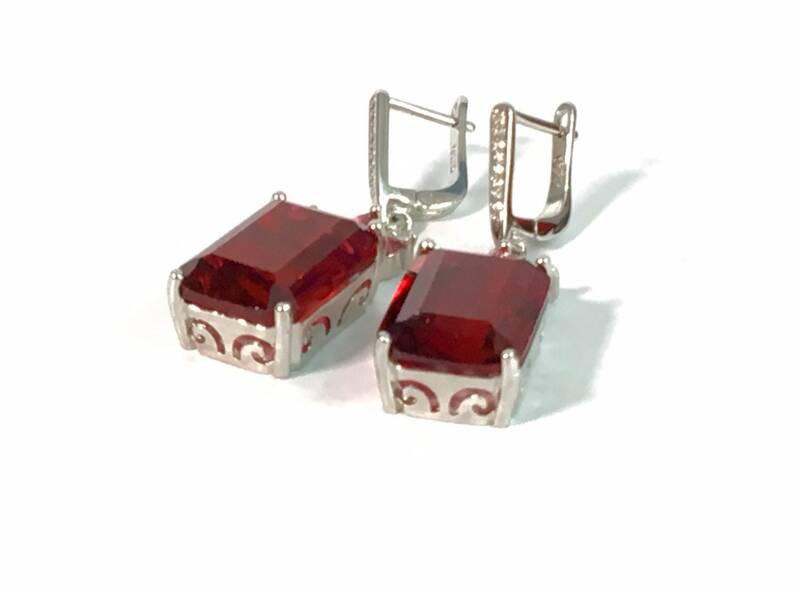 The earrings are hallmarked 925 for sterling silver on the closure backs. In nice vintage condition - still have los of pizazz!